This time it is not two, but only one leaf. Close to where we live, there is a square with a collection of small maple trees that turn beautifully red and yellow in autumn. Usually on the weekends, I pass by and create a few photographs; often of the same leaf every week. Most of the trees are bare now, but a few leaves are still hanging. 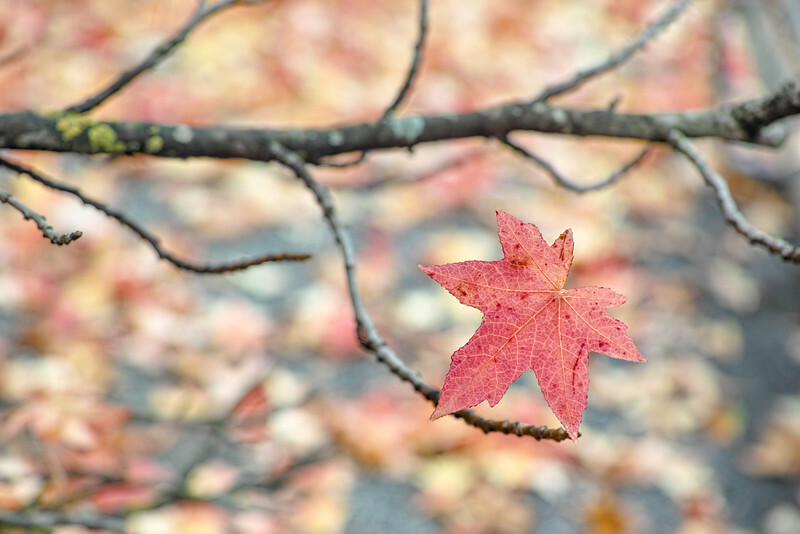 Just today I have been searching for new fall color compositions among those trees and leaves, but the lonely leaf above was already captured a few weeks ago. I wish you a good Sunday and a nice week!